Peter Stuchka was born into a poor family in Livonia, Russia, in 1865. After graduating from St Petersburg University Law Faculty in 1888, he worked as a lawyer in Riga. Stuchka was converted to Marxism and began editing the progressive newspaper, Dienas Lapa (Daily News). This resulted in his arrest and spending five years in Siberia. In 1903 Stuchka founded a Marxist party in Latvia. 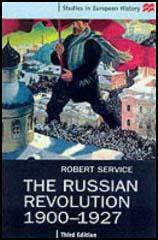 Three years later he joined the Bolsheviks faction of the Social Democratic Labour Party. After the 1905 Revolution Stuchka was kept busy defending radicals in court. Following the February Revolution Stuchka became a member of the editorial board of Pravda. 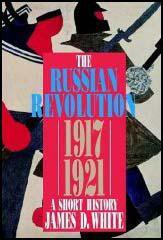 In November, 1917, Stuchka entered the Soviet Government as People's Commissar of Justice. In August, 1918, Stuchka left his post as Commissar of Justice in order to become head of the Provisional Government of Latvia. After the collapse of the communist government in Latvia in January, 1920, Stuchka became chairman of the Supreme Court. He published several books on Soviet law including The Revolutionary Role of the Law and State (1921) and The Revolution of the Law (1923). He also edited Encyclopedia of State and Law. Peter Stuchka died in 1932. The motivation behind most of his (Drew Pearson) crusades was his Quaker pacifism and a conviction that peoples must reach out, over governmental barriers, to aid and communicate with one another lest the horrors of the past be repeated.